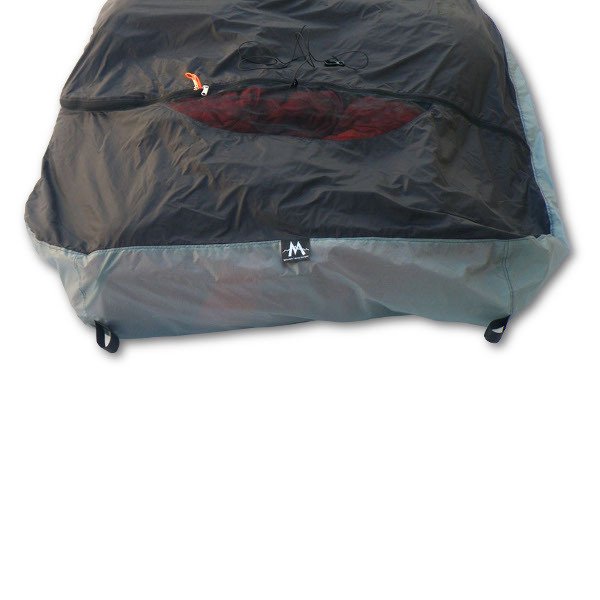 A 2004 MLD Innovation, the Pro Level SuperLight Solo Bivy ™ was the first DWR (Durable Water Repellant) top entry, super-light backpacker bivy with a net face window! Over a decade later, we are proud to say it's still the best! 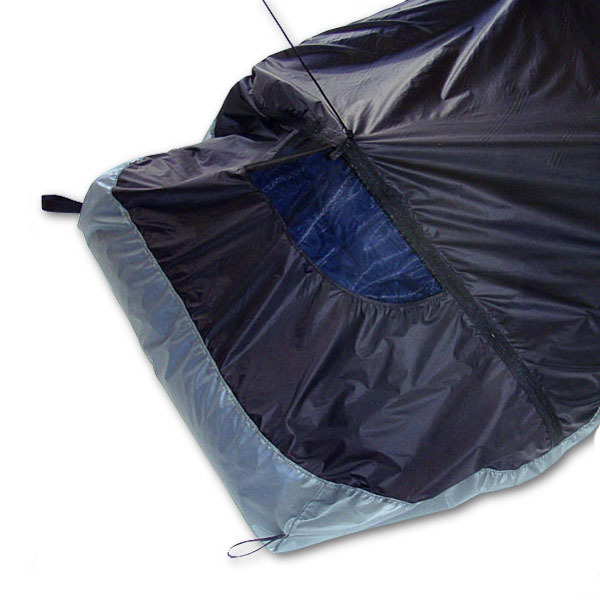 A 2004 MLD Innovation, the Pro Level SuperLight Solo Bivy ™ was the first DWR (Durable Water Repellant) top entry, super-light backpacker bivy with a net face window! Over a decade later, we are proud to say it’s still the best! This is the bivy Andrew Skurka used on his incredible 4,700 mile Alaska | Yukon Expedition, and it received SectionHiker.com’s Gear of the Year Award in 2010. 1. 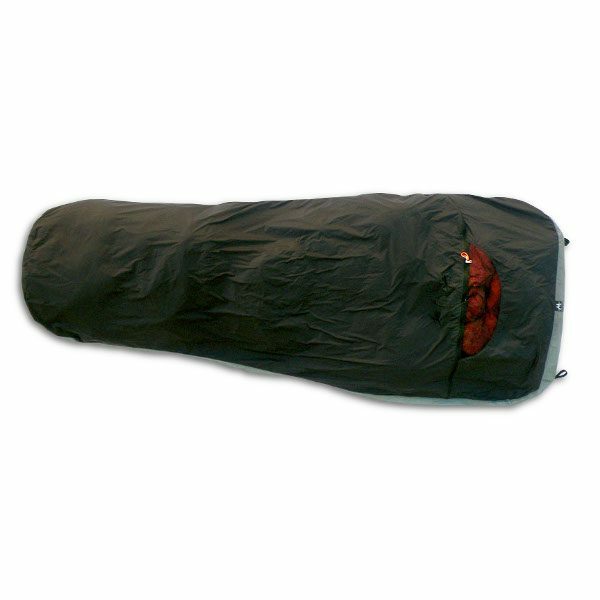 To be part of a total sleep heat retention system, adding 5 – 15 degrees of warmth, especially when even a slight wind gets under and around your shelter. 3. Built in ground cloth. 4. To protect from any blown or splashed rain /snow that gets in under your overhead shelter. 5. To shave weight from a total shelter system. It’s a 7 oz multi-purpose piece of gear that allows for a lighter sleeping bag, a smaller overhead shelter, and no ground cloth, or extra bug protection system. 7. 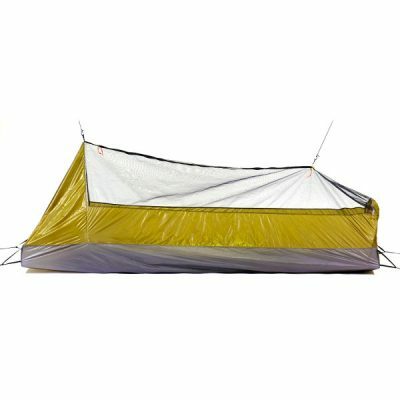 It can be used alone, with no overhead tarp, for cowboy camping. 8. It pairs perfectly with a backcountry-style quilt to limit warm air venting during night moves. 9. By putting your sleep pad inside the bivy you increase the sleep pads thermal efficiency by limiting convective heat loss. Tw people? 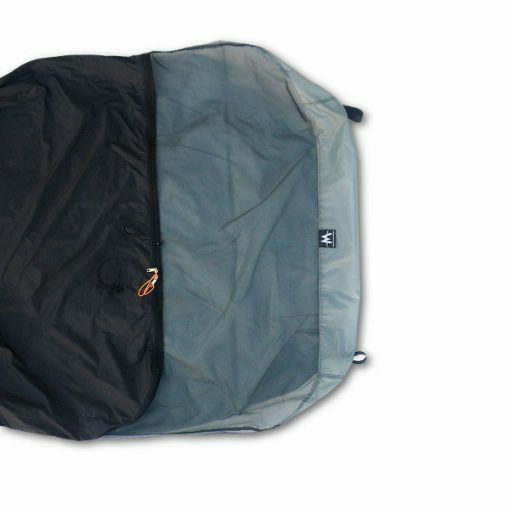 Try our SuperLight Duo Bivy ™. The SuperLight Solo Bivy ™, is a true Ultra Lightweight Specialists tool; please read the entire product description and specs before adding to cart. Certain options are Custom features and are non-refundable, see “Options” tab. • Four drying hang loops- NOTE: THEY ARE NOT STAKE OUT LOOPS!!! If you use them to stake the bivy, use a small bungee cord and stake them loosely – they are not intended to function as the corners like on a tent bathtub floor! FOR USERS: Up to 6’2″ | 188 cm OR 185 lbs | 84 kg WITH a regular 20″ W x 72″ L pad, no thicker than 1.5 in. FOR USERS: Up to 6’6″ | 198 cm OR 230 lbs | 104 kg WITH a long (25″ W x 77″ L) pad, no thicker than 2.5 in. OR you move around a LOT or have mild claustrophobia. 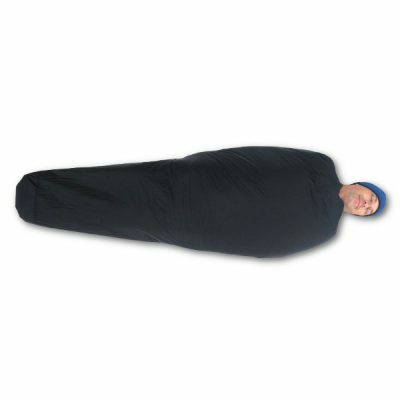 FOR USERS: Only for those over 6′ and over 190 lbs WITH a very thick + wide + long sleep pad AND a winter thick sleeping bag OR you move around at night like two cats fighting. It’s pretty big! * Rarely needed, the XL Giant Size is CUSTOM & NON-RETURNABLE! Customize your bivy by choosing the outer and inner color! Color Choices now include: Black, Olive Green and Orange Citrus. NOTE: We suggest getting Black or Olive Green for faster drying times. Our large, half-moon bug net window over the face area has been tuned to provide the perfect balance of ventilation, low condensation, and heat retention. Optionally, you can order an all bug net only hood. This option is recommended for primary use in warmer climates, and/or during warmer seasons with night temps mostly above 45 degrees. This is also a better choice for very rainy and extra humid conditions and can lower condensation inside the bivy when you sweat or are forced to wear damp clothes while sleeping. 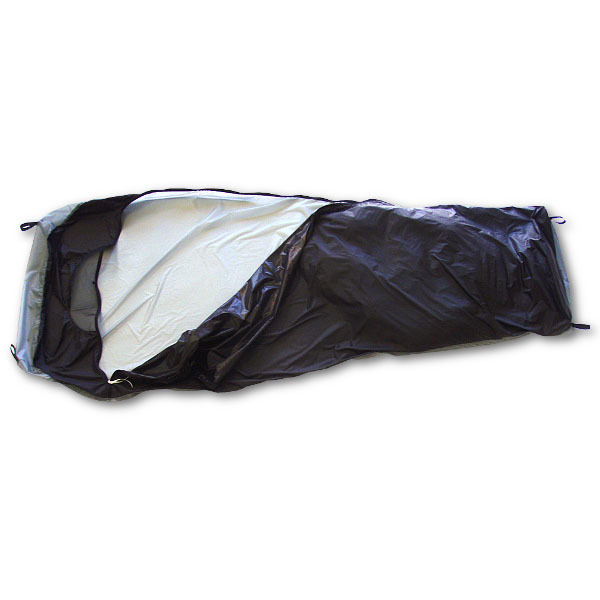 Lying on your back, a left zip bivy will have the zipper or your left, and a right zip bivy will have the zipper on your right. If you’re right handed, don’t assume you’ll want a right zip bivy – many right-handed hikers prefer left zip bivy’s because as you’re lying on your back, it’s easier to reach across your body to your left side to use the zipper. Of course, the opposite would be true for lefties. If you’re a side sleeper who sleeps primarily on one side, you may want the zipper in front of you so that you would choose that side for the zipper. Your choice of Pro SilNylon (Green) or 0.75 DCF (White) Floor. I own a medium with cuben fiber floor. I decided to spend extra money, but probably didn’t need too. I do not get as much condensation as I thought I would. And, the strength of the cuben fiber has proven to be durable and strong. But, the silnylon won’t break the camels back. 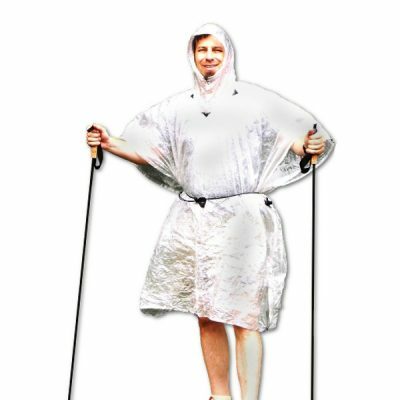 go cuben if you are using it for a very specific reason… maybe FKT??? Dislikes: can’t think of any. 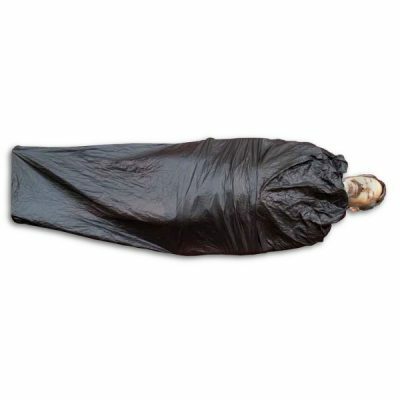 Recommendations: understand the use of a bivy, and what MLD is describing in its capabilities. Because if you do… then I don’t see why you don’t own one already. this piece of gear is a must have if you are trying to lighten your load. My favorite use for the Superlight Bivy is summertime in the desert. When the nights are 70 degrees and you can’t even touch your sleeping bag without sweating, you can just sleep in this bivy in baselayers very comfortably. 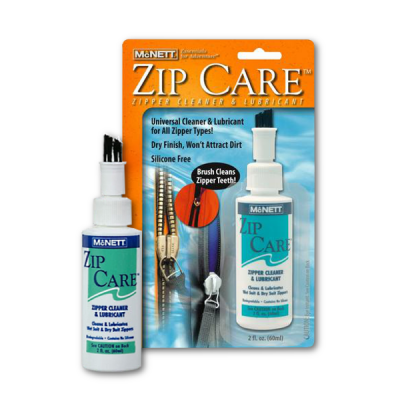 Spiders, scorpions and mice can’t get in and you won’t sweat all night long. It’s perfect. I also use it in the shoulder season under my Solomid or Duomid. Right around freezing it’s nice to see a layer of frost on it in the morning, instead of on your sleeping bag. It’s a must-have item. 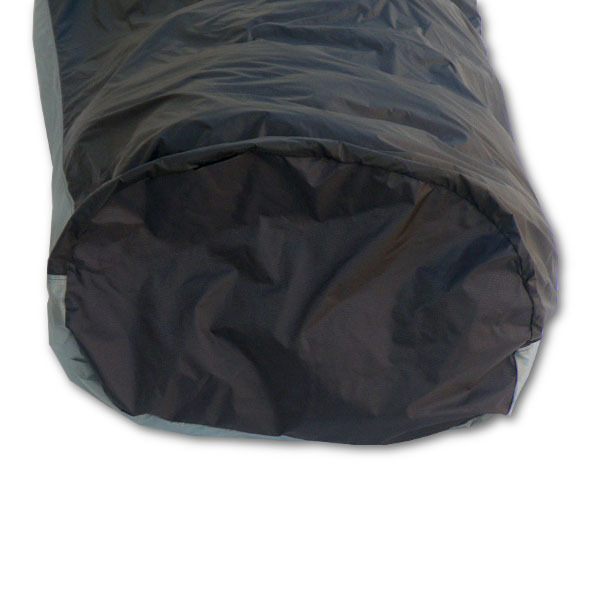 Great piece of kit – I use mine mainly in the tropics as the perfect replacement for a sleeping bag and where it prevents those 2am cool periods when the wind gets up. It also leaves one feeling safe from dangerous creepy crawlies as well as not causing overheating when fully zipping up when mosquitos about. I went for the cuben fiber floor which i find reassuring when a bit of rain blows in under the tarp as I just roll over and let the floor take the hit.